I was very fortunate to come to the office today since an interesting package awaited me on my desk. 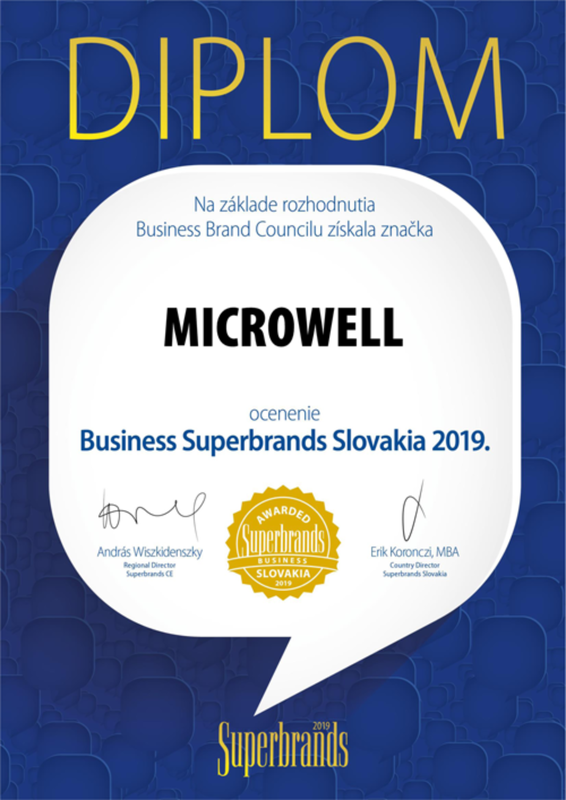 Brand Council Expert Commission of the program Slovak Superbrands awarded our company the Slovak Business Superbrands Award 2019. We have thus joined the group of elite brands, which represent a model for a successful development and continuous improvement of a brand value. The Superbrands award confirms our quality and encourages customers to make their daily decisions. The Superbrands Award is granted by a Business Brand Council expert group based on information provided by prestigious companies BISNODE and Dun & Bradstreet. Brand Council members are renowned experts in marketing, communications and advertising. We thank all our partners since this is our common effort. We are also deeply encouraged to continue the drive for our vision.